Book your appointment online any time of the day or night. You don’t have to be a registered client and it’s quick and easy! Choose a vet and time to suit you. Cover all your pets preventative healthcare needs for only £9.99 per month. The perfect complement to insurance. friendly approachable and expert staff. Handy (or should we say pawsy!) articles on preventative healthcare like puppy vaccinations & dog neutering plus information on common ailments. Hyperthyroidism and kidney disease in cats are common. Click below for some useful information on common issues we see in cats. Prevention is always better than cure, especially when it comes to rabbits. For information on dental disease in rabbits, an more click below. 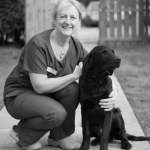 Knutsford vets is a family run, independent veterinary surgery in Knutsford. We focus on providing honest, tailored care is in a bright, modern and relaxed environment. Our comprehensive and supportive service helps reduce stress when your beloved pet falls ill. Unlike many practices in the area, we hold the RCVS Small Animal Practice Accreditation. 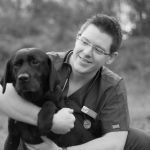 Only the best veterinary surgeries around the UK are awarded this accolade so you know you’re in safe hands. Continuity of care is important. That’s why at Knutsford Veterinary Surgery you see the same vet each visit. This improves the well-being of patients and provides added peace of mind to clients. We’re located at Fryers Garden Centre which provides easy access and boasts the largest car park of any vets in Cheshire! Knutsford Vets invests heavily in the best equipment and approaches. As a result, most tests required for diagnosis and treatment can be accommodated during your pet’s consultation. 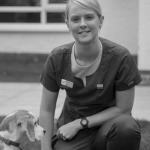 Knutsford Vets have experienced medics and surgeons, proficient in a wide array of procedures. 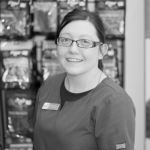 These range from dog and cat neutering right up to fracture repairs and complex soft tissue surgery. 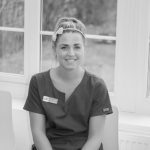 Paul even holds a post-graduate certificate in ophthalmology whilst Rachel is currently studying towards her post-graduate certificate in dermatology. A healthy pet is a happy pet. Therefore, we offer a best in class Gold Plan, free nurse health consultations, vaccination clinics, microchipping, neutering and much more. We welcome you on a tour of our surgery. It’s a great opportunity to meet the team and have any questions answered. We look forward to meeting you.